We are certified with two different organizations with build both residential as well as commercial and industrial facilities. We design build and maintain sustainable landscapes. OKE-THOMAS + ASSOCIATES was established in 1993 as a construction management firm. We have now grown to provide a full-service architecture, planning and construction management service. Because of our background, we have experience in every aspect of the design and construction industry. In doing so, we have developed an appreciation for the different roles in the building process. At OKE-THOMAS + ASSOCIATES, excellence means a continuous commitment to achieving the best possible results for our clients. It means a dedication to learning what the client wants, developing the right design and executing with utmost care and precision. In short, excellence means setting the standard by which other firms can be judged. SDA Development Properties is a licensed General Contracting Business in NWA. 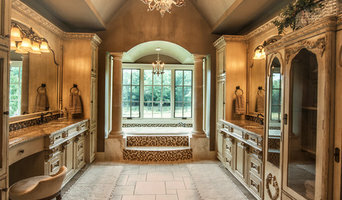 We are a company that specializes in designing and building custom homes. Give us a call today to learn more about our work and company.